You can tell your wife that it was definitely me, and that she owes you a dinner out. Hi Guys I just want to say thanks for the awesome book! After seeing you both on TV I fell across your book aswell such a great read hitting some great points. The only downside is the fact Im longing to start my life as a sea gypsy even more! Im currently going through a majour refit of an Albin Vega 27 which will become our floating home sometime soon. and when/if our paths cross I look foward to buying you both a beer! Sorry for the tardy reply (you were hiding in the trash) but yes! I am he of the neddies. I assume you are she of the acerbic wit who became the owner of Santiago, one of the nicest neddies l ever had? I am glad to hear that he is enjoying his retirement. Did he turn out to be as good a neddie as we thought he might? When did you have a daughter… l dont remember kne being on the cards is Spain. I am afraid that the woman l sold the business to was a disaster and that l do not have any contacts to whom l would entrust the welfare of your daughter as generally speaking, the safety standards are shocking in Spain. Write back to me with all your goss on sailingcalypso@gmail.com and that will keep you out of the trash. Hey, really enjoyed your book. I’ll leave a review on Amazon in the next few days. I was going to see if you could be so kind as to describe an “average” day (as if there could be such a thing) at anchorage and at sea. The book offers an outstanding primer, and a little of the day-to-day can help us visualize ourselves in the same circumstances, and keep the dream alive. See ya out there! Thanks for getting in touch. J and l are both chuffed that you liked the book and that it seems to have got you hooked on the salty path. (PS: I know it is a pain in the neck, but if you could write us a decent review on amazon as you suggested, that would certainly help sell a few more books!). The question is even less answerable than the question, “what is a typical day for somebody who lives in a house?’ ….. at least a house stays in the same place! The question becomes a little easier to answer when on passage as the days are more defined by watches. But still, there is a mountain of difference between what you do on board in 10knots and 40knots. I understand the motivation for asking such a question and my best suggestion is to advise you to look through our website in order to get a kind of ‘flavour’ of life on board. We try and keep it real (as opposed to the Facebook “everything-is-wonderful-in-my-life” nonsense) and that may get you a better answer than anything glib l might come up with. No doubt that will generate some more specific questions, that we are always happy to answer. We are well aware of how difficult it is starting out to get your head around the whole idea, so no question is too obvious or too personal. Whizz them over on sailingcalypso@gmail.com and we will happily answer them. You are living a dream. Read your great book and very inspired to live the dream. Been thinking about it for years, I’m a scuba diving instructor of over 13 years so love the ocean, traveled all over the world but never found the “secret” to a simply life but after reading Get Real, Get Gone I might have found a glimpse of my future! Thanks Mfiola! I will answer all your questions on an email shortly. Got the book two days ago and what a gem! I noticed under recommend reading, there’s a book on motorcycles, while the rest are all boating. Is there anywhere in the book that you have made reference to it, as I’m curious as to why it was included. Hi guys, myself and my girlfriend read your book. We both loved it so thanks. We’ve just bought a seamaster 925. Neither of us know the 1st thing about sailing but we like the sea and stay in the west coast of Scotland so it seems like a good idea. Hopefully we can become sea gypsies too. Thanks for the positive feedback. We are extremely pleased you liked the book and it seems to have nudged you in the gypsy direction (we would be even happier if you would be good enough to repeat those kind sentiments in the review section of Amazon). Nice boat the Seamaster – in fact l dont think Kim Holman ever penned an ugly boat! A great boat to earn your stripes on aroung Eigg and Rhum! You have taken the first step on a great adventure and you must be pretty excited! Let us know if we can help with any advice – you can email us on sailingcalypso@gmail.com anytime. Good luck you guys, we look forward to nearing of your adventures! I read your book and like the story very much. Lots of useful info and practical advice for any sailor. Hope to meet you somewhere sometimes. I saw your boat for sale, hope you stay on the seas? I am reading your book, went on the computer and found your website. I like your attitude, great, your book talks about a lot of things I have been thinking about in a similar vein for a long time. 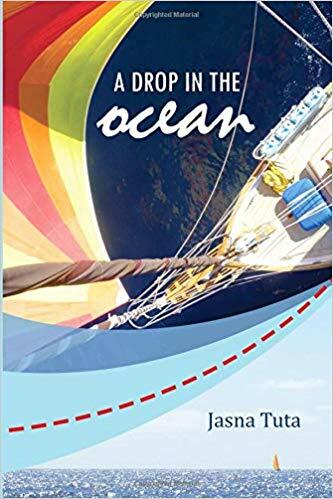 Last year I spent some time sailing in Brittany, France and, as your book says, it is good to find a place to start – this may be it for me: affordable, interesting sailing and I know people there. Anyway, I have to clear the decks but in a couple of years I may start on this and I am planning to buy a small but seaworthy boat. The trouble is, for the boat I am thinking of, many are available in the US, but very few in Europe. I am a reasonably experienced sailor, but I do not think experienced enough for an Atlantic crossing. Do you still do yacht deliveries? Thanks for getting in touch. L have replied to your email. I just finished your book, and wanted to let you know it was an absolute joy to read. 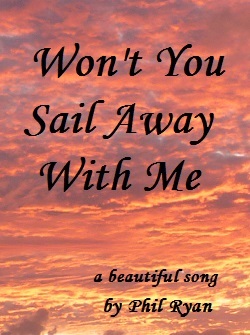 I have been a wannabe sea gypsy for years, and the book was not only inspiring, but also encouraging. Are there any plans for another book? Thanks for sharing your story with us. I look forward to reading more about your adventures here on the site, and hope to one day cross paths with you and buy you both a beer. Now on to finding the right boat! I just finished reading your book and I really loved it. I’m quite interested in the cruising lifestyle although I have zero experience in sailing right now (working on that). So I still have lots of questions about all the intricacies of how to do it. Have you thought about writing a “part 2” to your book, as in, “a day in the life”? I’d really love to read about what you typically do from get up to lay down at anchor or at sea. I suspect a lot of others would be interested in that too. I could expound on a list of topics if you like. Thanks again for an excellent book! Thanks for that! Interesting point you make. I will give it some thought and send you an email. Loved your book. In the process of getting real, so I can get gone. Thanks for the info, the advice, and the inspiration. Glad you liked it, don’t hesitate to write to us if you have any questions. So, I, on a whim decided to buy a boat and live aboard (Hans Christian 33). A friend of mine recommended your book, so I bought it at once and read it through for the first time, I will certainly give it a reread or two. The book made me much more confident with the boat purchase. I plan to fix her up, learn to sail (never been on a sailboat), and get gone within two years. If you find yourselves in Guam, I’ll buy you a beer. Thanks for the great information and no holds barred opinions in your book. I can’t wait to be on the sea again, this time for pleasure/adventure, not for the Navy. Thanks for a great post Jim. I can’t tell you how much it means to us when somebody “gets it”. I have sent you an email regarding scuba tanks. Bought your book last week a devoured it. My ladyfriend and I are in our mid-to-late 50s and looking to reboot our lives on minimal resources. We have now initiated Operation Become Sea Gypsies, with the goal of moving onto a strong, seaworthy boat next summer. I have ordered several of the books from your recommended reading list and have devoted significant internet research to many of my initial questions. I’ll refrain from asking too many questions until I have better educated myself; however, there is one area where we would appreciate some initial feedback from the two of you. Since we will both be novice sailors, we are inclined to prefer a boat with a steel hull and a full keel. We are also drawn to junk rigging. In your view, how important should it be for us to find a boat that was designed for a junk rig (or has already been converted) versus buying a boat with more common rigging and converting it ourselves? (I am aware that there are several book on junk rigs and on making that conversion, but have no real way to know which ones are more credible. I have already bought Annie Hill’s book and I have looked at the Junk Rig Association website.) In any event, would you mind sharing your thoughts on this part of the buying decision? Thank you for both the technical and philosophical information and inspiration in your book. Hopefully, our paths will cross in a few years at some remote locale and we can celebrate your guidance and counsel in a proper manner. Thanks John! I will email a legthy reply soon. Last July I finally bought a 1979 Dufour 31 that had a fairly recent re-power. I thought 6000 was a steal. Good sails, but the lines need updating. I thad one of those old wall mounted propane heaters. Think that’s worth replacing or could I probably get by with the stove/oven for heat. and do you use propane ? Hopefully, 2019 is my getaway year. Loved the book. I’m sure you’re inspiring alot of folks.